Holden's 22nd monthly photo, taken on the 1st of every month. Holden turned 22 months old on the 1st of December while we were on holiday in Florida. In November we continued with things in the house, getting prepared for our holiday and also organising Christmas. My dad very kindly wallpapered out living room wall for us, we put some things up in the loft while Holden tried out climbing the ladder and we finally got our Internet access. We had to do quite a lot of shopping this month to get organised for birthdays, Christmas and our holiday before we went. The start of the month was busy with two fireworks displays, one in the town Graham's parents live in and the other in our town, both of which Holden loved. We spent a day up at the Highland Wildlife Park near Aviemore to see the polar bears which was great, although it was freezing! We went to a family birthday party for Holden's second cousin Amy, visited Holden's great granddad and met our NCT group at a children's play cafe. We also had a couple of lunches and dinners out and at my parents as well as a couple of trips to the soft play with friends. Holden then got to spend an extra day with my mum while I did an extra day at work before we went away. The last weekend before we left we celebrated Christmas in November with all of my family, since my parents were going away for Christmas just before we went away. Unfortunately, Holden hadn't been too well for a couple of days so we then had to take him to the Sick Kids for a checkup the next morning. Normally we would have just went to the doctor but with our holiday just a few days away we wanted to be sure it was nothing serious. Thankfully it was just a virus so we were then able to have lunch with Graham's gran as planned. We flew to Florida on the 28th and went down to our villa in Rotonda West. The first couple of days we braved the black Friday sales, went to a car show and visited Punta Gorda for lunch. We spent most of this month getting organised for going away and Christmas so that we didn't have too much to sort out once we got back. Holden's nursery photos also arrived so I got some printed to put in with our Christmas cards to family. In December we will be away for most of it then have Christmas to look forward too. I love the 'what is this nonsense! Look on his face! He is getting so grown up! 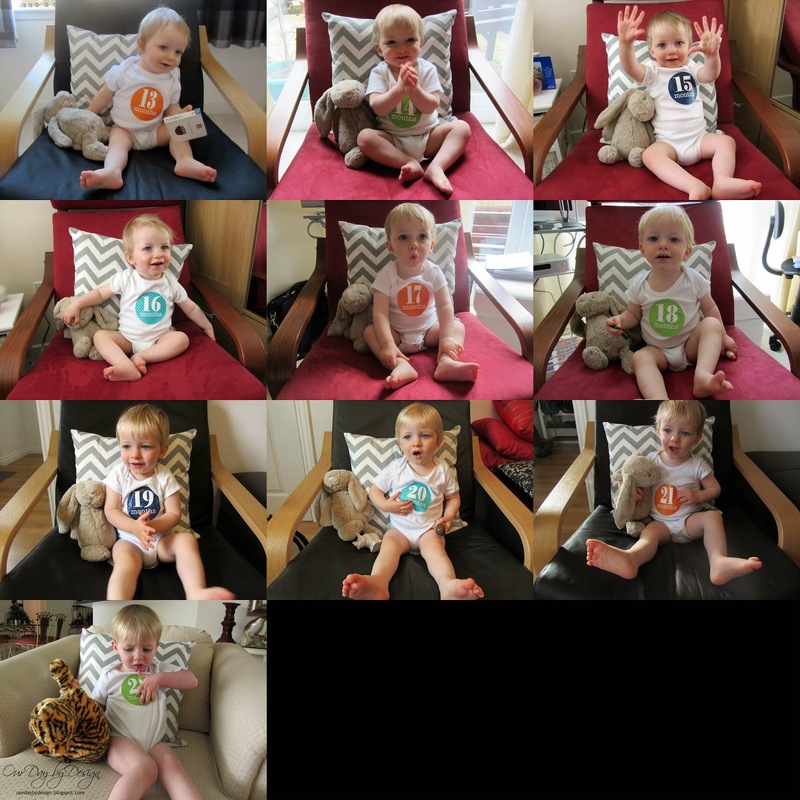 Life Love Laura: "Share your nursery"